What Makes a Valentine’s Gift Special? 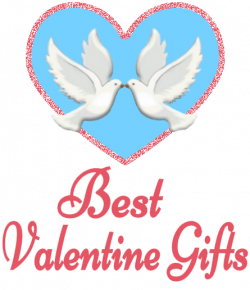 Are you thinking that this year you want to find special Valentine’s gifts for her? Do you know what makes a gift special? Perhaps it’ll be a good idea to think about that before you head out to the store, or start clicking through the wealth of online gift sites. There are a host of generic gifts for the ladies, but if you’re planning on giving her something a little bit special you’re going to have to use your imagination and find a gift that is aimed at her. You’ve set yourself quite a challenge and are possibly wondering where you can start. So keep reading, and we’ll share some tips and suggestions on how you can make this Valentine’s Day special for your girlfriend or wife. There is always the option of choosing flowers or chocolates but that’s been done for centuries. Time for you to think a little more out of the box and find a gift that’s a touch more inspiring. While we’re not saying that a traditional gift won’t be appreciated it’s probably best left for an emergency. This year don’t leave things till the last minute and give yourself some time for the planning and execution. It’s time for you to get creative and use your imagination. Bearing in mind of course, the kind of lady you’re looking for a gift for. Gourmet meal at home – A private chef will come to your home and create dishes she’s only ever dreamt of tasting. Romance her with a stay in a top class hotel – You can choose from a variety of destinations and relish in the luxury and opportunities for relaxation. Ballroom or Latin American dancing lessons – Includes private lessons that introduce you and your partner to all the basic moves. Horse-drawn sleigh ride – This will be an unforgettable experience as you get transported across the snow in a horse-drawn sleigh. Whale watching experience – Get the chance to see these magnificent creatures up close and personal. We’re not referring to a woolly jumper, but a scarf, hat and gloves to keep her warm throughout the winter. Available in lots of different designs and colours you’ll have no problem finding a set to suit the lady in question. Find a bag that compliments her wardrobe as well as being useful and she’ll have a gift that she’ll be proud to carry on her arm. See the sparkle in her eyes when she opens your special Valentine gift for her and finds inside an exquisite item of jewellery. It could be a pendant, bracelet, ring or earrings – as long as it shows how much she means to you. Don’t spoil the romance of the occasion by choosing one of the many generic gifts pushed on you by the big stores. Instead find a gift that is personal to the receiver and makes it truly special. Let’s give you some more inspiration. Ereaders and paperbacks have taken the true feeling out of reading. Gone are the days of beautifully decorated hard back books with thick leather covers. Only to replaced by something electronic or something so flimsy it only stands up to one reading before falling apart. Not only did these classic books make beautiful reading but they also made good ornaments. If you know your sweetheart has a favourite book that’s been read over and over again, then get her a first edition or at the very least an old edition. Gift wrap it and give it to her with a card and a single red rose. She’s sure to feel proud. When you think cute, puppies, kittens and baby rabbits immediately spring to mind. So why not give her a pet for Valentine’s Day this year? Make sure she’ll be up for it and has the time to dedicate to its care. But providing all this is in order a pet will be the cutest Valentine’s gift ever. On the whole women are known for loving their shoe collection, but each has her own preference with regards colour, style and heel height, so you’d better be extra careful. Take a look inside her secret shoe closet and you’ll get a good idea of the direction to take. Alternatively take her out shopping a few weeks before the big day and give her the opportunity to try on a few. But of course you’ll be telling her it’s just for the fun of it. However, when she finds a pair she likes you’ll spot the signs and be able to go back later and buy them for her special Valentine gift. If you’re the kind of couple that loves to spend time together but rarely get the chance then a day of relaxation and healing treatments will be the perfect way to spend your special day. Remember to leave your phone or laptop at home though, because today is for the two of you alone, with no interruptions. Think about the lady in your life and whether she loves her beauty products, because this can be a great Valentine’s gift for her. They are something that she uses all the time, and will always need replacing. A woman who loves to wear make-up will be thrilled with the gift of some more. Eye-liner, mascara, eye-shadow, lipstick, foundation and much much more are waiting for you at your local beauty counter, so pop on down and ask for some friendly advice. Now you should be armed with all the ideas and suggestions needed to make this Valentine’s Day one to remember for you and your special other half.